Chinese startup CloudWalk Technology has received US$75 million in series-B investment led by Shunwei Capital, Oriza Holdings, and Puhua Capital. The windfall comes after the Guangzhou municipal government injected US$300 million into the computer vision company. Earlier this quarter CloudWalk competitors SenseTime and Face++ garnered funding of the same scale, the latter also backed by a state-owned venture capital fund. The heavy investments in computer vision will energize the IoT revolution that is rapidly building smart city infrastructures all across Asia. The company says it will develop a Cross Strategy based on China’s National Development and Reform Commission (NDRC) AI platform; continue to expand in banking, airport transportation, and security sectors; obtain dominant shares in AI niche markets; and at the same time incubate AI enterprises using the national AI platform. CloudWalk was founded in April 2015 as a spinoff of the Chongqing Institute of Chinese Academy of Sciences focusing on computer vision and AI. Company founder Xi Zhou graduated postdoc from the University of Illinois at Urbana-Champaign (UIUC) and partnered with UIUC professor emeritus Dr. Thomas S. Huang, a leading image and pattern recognition expert, to back the company’s AI research. CloudWalk’s current products include a big data platform for public security; ID card optical character recognition systems; integrated biometric systems for facial, fingerprint, voiceprint, iris, and finger vein recognition; infrared binocular detection devices; smart door access systems; facial recognition vending machines; and other computer vision API services. The company has research labs in UIUC, Silicon Valley, Chinese Academy of Sciences, Shanghai Jiaotong University, and additional centers in four other Chinese cities. CloudWalk also operates joint-labs with the Ministry of Public Security, China’s big four banks, and the Civil Aviation Administration of China (CAAC) to set AI product benchmarks and develop national standards for facial recognition technology. The results are already being adopted for intercity travel. In March 2017, the NDRC tasked CloudWalk with building an AI Infrastructure Public Service Platform,putting the company on China’s national AI team and expediting AI technology adoption in the public sector. 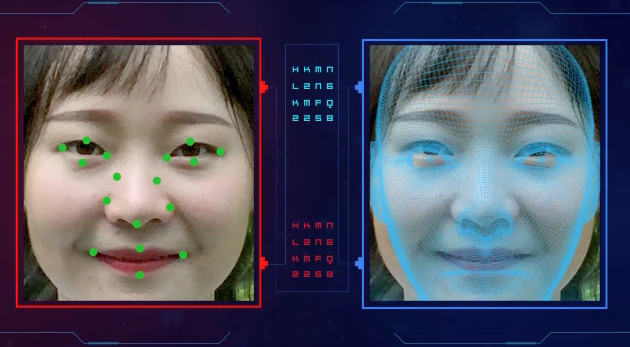 “Facial recognition technology is ubiquitous now and China is at the forefront of this development, especially for commercial use. CloudWalk outcompetes similar companies in POC tests for finance customers and builds really good products that satisfy real customer needs. It has great infiltration in finance, security, and civil aviation sectors,” says Puhua Capital Senior Vice President Nanhai Zhong.